JACOB CHILD THOMAS, a life-long resident of Lake City, Columbia County, Florida was born on January 22, 1980. He died at age 38yrs on Sunday, Oct 14, 2018 at NFRMC in Gainesville, Florida. Jacob is the son of Duane E. Thomas and Karen K. Thomas, of Lake City, Florida, and Susan Child of Lake Butler, Florida. Jacob leaves behind his wife, Mae Miso Thomas, to whom he was only recently married. Jacob’s unexpected death followed a very brief hospitalization at NFRMC for pancreatitis and resulted during an attempted intubation by hospital staff. Jacob is survived by his wife, Mae Miso Thomas, his father, Duane E. Thomas and his stepmother, Karen K. Thomas, both of Lake City; Jacob’s biological mother, Susan Child, of Lake Butler, Florida, Jacob’s older brother Clinton Duane Thomas and Clint’s 2 children, Taran and Trinity of High Springs, Florida, Jacob’s older sister, Susie Thomas Cabral, and Susie’s husband Bobby, and their 5 children, Elias, Gracie, Benjamin, Eliza, and Lucy of Lake Butler, Florida, Jacob’s younger brother, Adam Jackson Thomas and Adam’s wife, Ashley, and their 3 children, Amory, Asher, and Archer, of High Springs, Florida, Jacob’s younger brother, Joshua Elias Thomas of Lake Butler, Florida, and Jacob’s younger sister, Amber Thomas Pitman and Amber’s husband, Brian, and their 2 children, Blanton and Remington, of Tallahassee, Florida, and many Uncles, Aunts and cousins. Jacob was a graduate of Columbia High School. He received both his undergraduate bachelor’s degree and his Juris Doctor Law degree from the University of Florida. For the last 10 years, Jacob has worked with his father, Duane E. Thomas in his law offices in Lake City, Florida where he has been indispensable to his Dad. Jacob was an Eagle Scout. He was a member of The Church of Jesus Christ of Latter Day Saints. Funeral services will be handled by Gateway-Forest Lawn Funeral Home. The public is invited to a viewing on Friday evening, October 19 from 6 to 8pm at the Stake Center of The Church of Jesus Christ of Latter Day Saints on Old Country Club Road in Lake City. The funeral services will be held on Saturday morning, Oct 20, at 11am at the same location. 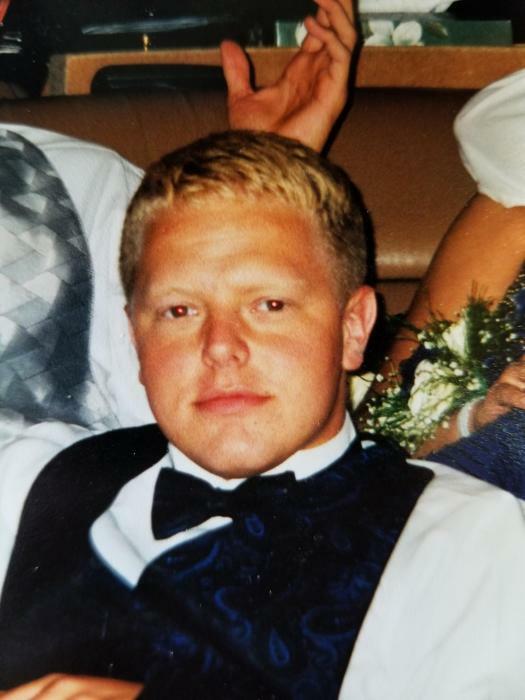 Jacob’s mortal remains will be interred with his family at the Oak Grove Cemetery in Union County, Florida immediately following the funeral service. Please leave words of comfort for the family at www.gatewayforest.lawn.com. Jacob’s sudden, unexpected passing has shocked and stunned us all. He was much loved by all who knew him and will be sorely missed by his friends and family.